WHAT IS THE MATTER WITH THOSE PEOPLE IN ARUBA? You post an article about a human jawbone and reference Natalee Holloway and are too lazy to use an actual photo of the jawbone that washed ashore? I didn't know that it wasn't a picture of what was found. I also find it interesting and infuriating that the Amigoe article points out that the picture in Diario was not of the find, since it was of a bone with only one tooth; but doesn't say ANYTHING about the 24ora picture! ORANGE CITY - A U.S. tourist has been found last Friday a bot that looks like a part of a jaw of a man. The tourist took the bone to the Phoenix hotel after police were called. The tourist told the officers that he was the bone on the beach near the hotel had been found. Justice confirms in part the message that morning was in Diario. That morning paper had a photograph in print, this picture is not of the lost bone, let spokesperson Angela Ann of the Public Prosecutor (OM) Amigoe. 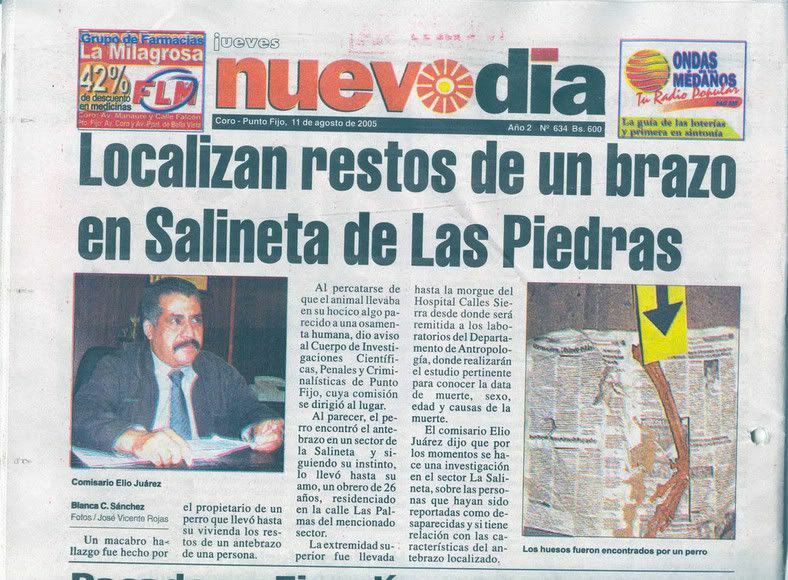 "The prosecutor has the photo in Diario seen, which is not the bone. For that bone contains only one tooth. "Well that confirms the OM agents with bone have flown to the Netherlands for further investigation by the Netherlands Forensic Institute. If the investigation shows that it really is a human bone, the judiciary continued to research, says Angela. Meanwhile, the media has speculated about a connection with the 2005 American teen Natalee Holloway disappeared. The beach at the Phoenix Hotel by the sea churned up a lot of one week ago. Receding lot of waste. including large pieces of cement and other construction materials. 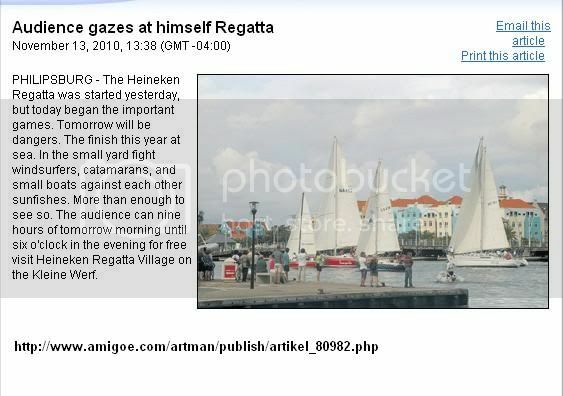 Well the Amigoe article was brought forward on the last page too...now. I didn't know my post was going to start the next page! I'm glad you were Googling Klaas and found that picture! Good grief, that still just makes me mad that they would post that picture, along with a picture from the beach... and not make a note that it wasn't from the scene! And they may have got a laugh, but at least they understood what you were asking for and sent it! Do you think you could try getting a transcript of those last two shows of Peter's...you seem to get results! If we can get a transcript...I'll type them out and run the Dutch parts through the translator if needed. I think that may be the only way we'll ever know what was actually said by Peter and the commentator. I keep thinking we may have missed some important stuff! I've sent a request through Peter's site for information about purchasing the transcript but never heard back. Do you think it would be through Endemol? playa recientemente. ¿Sería posible para usted al email yo el cuadro? 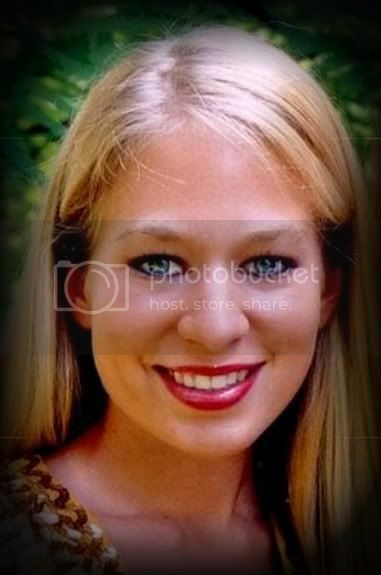 Subject: Re: Antebrazo - Natalee Holloway?? 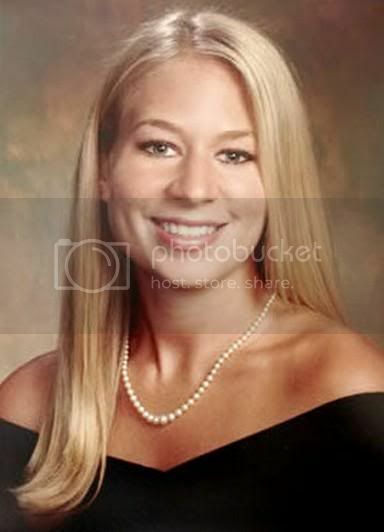 esos huesos pertenezcan a la joven desaparecida Natalee Holloway. 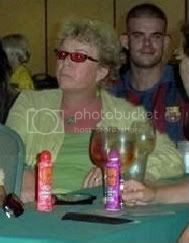 Anyway the point is it really bothered me back in 2005 with that arm bone in Diaro and it bothers me now with this jaw bone and 24ora that they publish any old photo and not say it's not the real thing. I agree! That's just wrong! What the Heck??? That's beyond lazy........... would there be a purpose for not posting the actual picture?? What? Are they afraid that a picture could be used to compare Natalee's teeth with?? It's Aruba. I'm always looking with a sinister eye at anything they do that could possibly be related to Natalee. They've been very efficient and consistent in that regard. SAN sent this to me. Thanks San! Still retro posting here......... sorry! Thank You San!! That article has made a long, hard day much, much better! Woo-Hoo.......... now that's more like it!! Poor Baby, Joran's world isn't such a great place anymore and he's tired of it! No, Klaas, not by accident, by Natalee. She knows who her champions are. 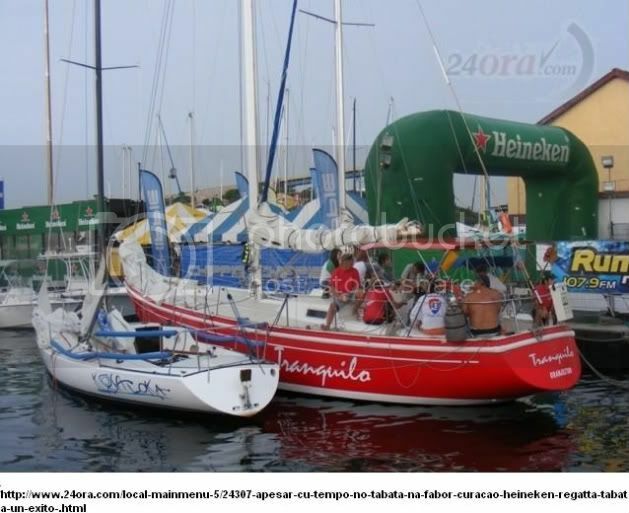 I have been hoping every day that the storms in Aruba have stirred things up and that Natalee will be found. God, please hold Beth's hand while another torment of hope comes her way. Please help Dave and don't let anyone sell him a bill of goods relating to this find. Amen. Police are investigating whether a jawbone found on Aruba is linked to the disappearance of U.S. teenager Natalee Holloway, a Dutch newspaper reported Tuesday. According to De Telegraaf, forensic experts in the Netherlands will carry out tests on the remains. The bone was found Friday on a beach near the Caribbean resort island's Phoenix Hotel, close to the Bubali swamp, the paper said. Joran Van der Sloot, who was the last person seen with Holloway before the girl vanished during a high school graduation trip to Aruba in 2005, has previously claimed that he dumped her body in the swamp. Van der Sloot has publicly said he killed the teen and then retracted his confession several times. Peruvian authorities are holding Van der Sloot on charges that he killed another woman, Stephany Flores, in his hotel room in Lima, Peru, on May 30 — five years to the day after Holloway's disappearance. If convicted on murder and robbery charges in Peru, Van der Sloot is likely to be sentenced to between 15 and 35 years in prison, court spokesman Luis Gallardo told The Associated Press in June. A federal grand jury in Alabama has also indicted Van der Sloot on charges of wire fraud and extortion in relation to the Holloway case. De Telegraaf said that tourists spotted the bone in the sand on Riba Beach. Police were notified after they handed it in at their hotel's front desk. 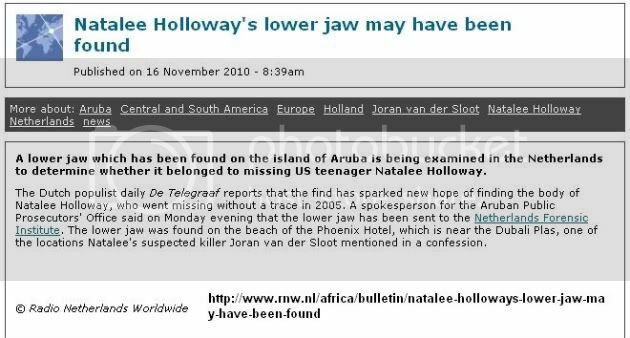 De Telegraaf said one molar was intact on the jawbone. Investigators will compare the tooth with Holloway's dental records. Other bones which police on the island have examined for links to the Holloway case have turned out to be from animals. 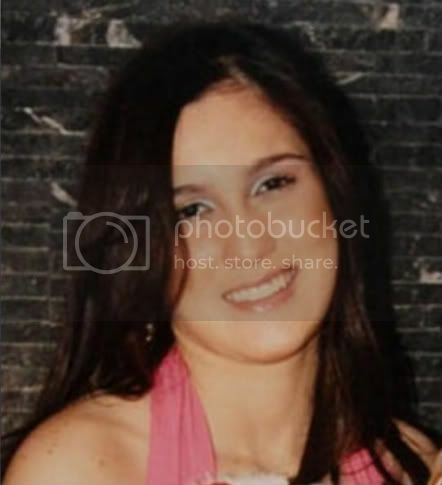 Ven der Sloot was arrested twice in connection to Holloway's disappearance, but released both times for a lack of evidence. NBC News' Nanette Van Der Laan, The Associated Press and msnbc.com staff contributed to this report. A human jaw bone has reportedly washed onto the shore and was found by tourists near the Phoenix Hotel of a beach in Aruba. Forensic experts in the Netherlands are running tests, but investigators believe it's the jaw bone of Natalie Holloway. Holloway is an 18-year-old high school student from Alabama who disappeared in May 2005 during a graduation trip to the Caribbean island . The prime suspect in the case, Joran Van Der Sloot is being held in Peru, charged with the first-degree murder and robbery of 21-year-old Stephany Flores. Holloway was last seen by friends outside a restaurant and nightclub with Van Der Sloot, and the site where the bone was found is close to one of the locations given in a confession by him. Or like a Soap Opera, he may come back as Paulus, after all, he was whooshed off the island and buried quickly. THE HAGUE, Netherlands — Dutch forensic experts are testing a piece of bone found on the Caribbean island of Aruba to see if it comes from missing Mountain Brook teenager Natalee Holloway, a spokeswoman said Tuesday. utchman Joran van der Sloot, who faces separate murder charges in Peru, is the last person seen with Holloway and is suspected in her disappearance. Page created in 9.679 seconds with 19 queries.